With the Solitaire Du Figaro (née Course L’Aurore) getting close to it’s half-centennial birthday, the brilliant illustrators at Chevalier Taglang have put together a beautiful pictorial history of the of the world’s most prestigious solo coastal race. 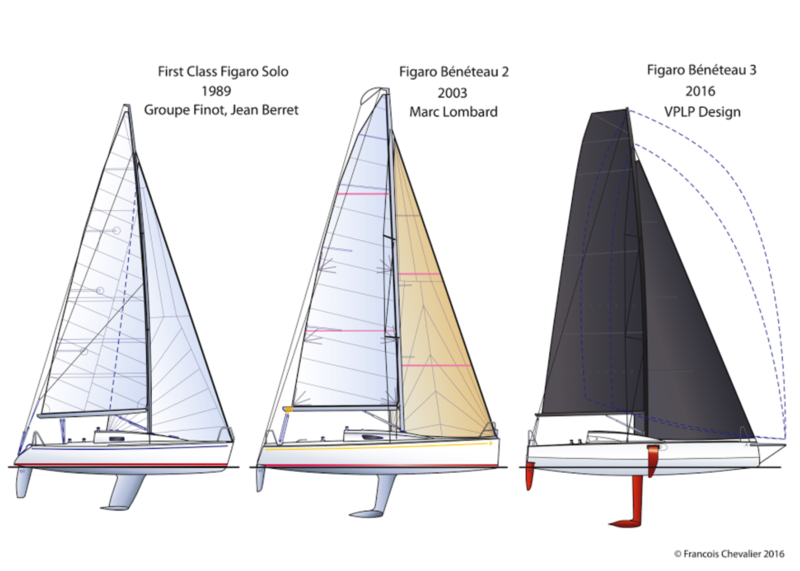 The post itself (with thanks to Donan Raven for the translation) includes line drawings and more on every winning Figaro design since the beginning way back in 1970, while above you’ll find drawings of the three one-designs that have made up the competition since 1989. Most top sailors we’ve spoken to have expressed reservations about the effectiveness of the brand new VPLP Figaro design that we’ve coined the “Figaro FF” (for Fishhook Foil), but you can’t say it doesn’t look like a goddamned weapon. Here’s an excerpt, and we encourage you to head over to Raven for the smart, comprehensive look at the history-making race. Class rules often prevent more than they allow innovation. They are continuously created and adjusted to avoid rulebeaters that would obsolete the existing yachts in a racing fleet. Those yacht designers that would have established themselves in a given fleet but had least success in establishing their latest ideas are sometimes the first to limit the rise of new trends in the class where they have achieved popularity. History gives us plenty of ideas which seem new, whilst they are in fact more often the result of a greater freedom allowed by the class rules that have the fewest limitations. The race was first named Course de l’Aurore, after the French newspaper for which the founders of the race, Jean-Michel Barrault and Jean-Louis Guillemard, worked. The guidelines of the competition were very simple and achieved immediate success in her first edition in 1970. It was an offshore race, raced in single-handed 9 metre yachts on elapsed time only. On August 6th of that year, twelve series production yachts took the start in Brest (France), and eight completed all three legs, with Joan de Kat winning the overall event on a Super Challenger, ahead of runner-up Michel Malinovsky. From 1977 onwards, the race used either Half Ton cup yachts, series production yachts, or custom International Offshore Rule (IOR 21.7 raters) with an overall length of about 9 metres. Gilles Gahinet won the event on Rally, designed by New Zealander Ron Holland. In 1980, French newspaper Le Figaro became the title sponsor of the event, when Jean-Michel Barrault was a news correspondent for the company. That year, Gilles Gahinet won the race on Port de Pornic, his own design. Young French yacht designers won all the races from from 1978 to 1990: one victory each for Jean Berret, Jean-Marie Finot, Gilles Gahinet and Jacques Fauroux, five victories for Michel Joubert and his partner Bernard Nivelt, and three victories for Daniel Andrieu. However, the sophistication of Half-Ton Cuppers had become a real problem, with team budgets skyrocketing and the IOR rule coming to an end. 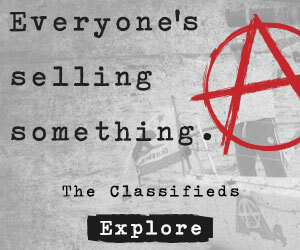 For the 1990 event, the race organisers submitted a call for tenders to shipyards to enter a design competition: the race would now be a strict one-design. 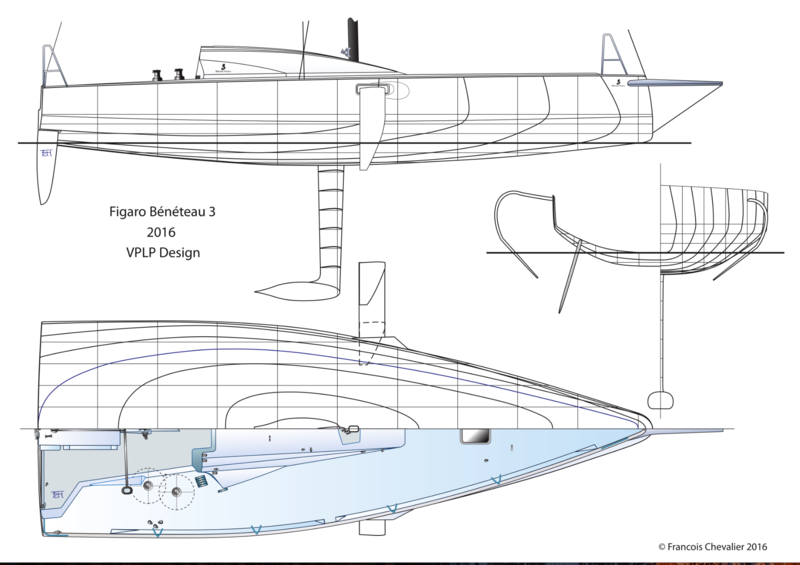 The winners of the competition, French shipyard Bénéteau, the World’s largest builder of sailing yachts, made two proposals: The overall design of Jean-Marie Finot, which included water ballast tanks, was retained, whilst the jury gave special mention to Jean Berret for the elegance of his design’s sail plan. Subsequently the jury asked both designers to team up to design the future Figaro Solo. CLICK FOR REST OF THE STORY.